Cut the top off any car, and you get a thrill. 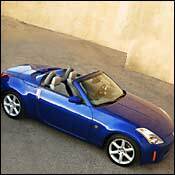 Cut the top off a stick of dynamite like Nissan’s 350Z coupe, and you get an explosion. At $34,000, this 287-horsepower roadster offers maximum bang for your roof-optional buck. Looking for a little Swedish design chic? 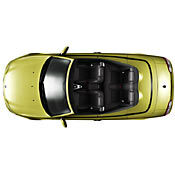 The four-seat Saab 9-3 convertible ($40,000) rides well, handles crisply, and is sexier than a young Britt Ekland. 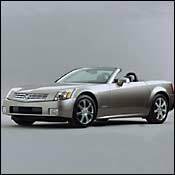 The sleek and chiseled Cadillac XLR ($76,000) is a shiny four-wheeled slab of megatechnology—folding hard top, smart cruise control, keyless access—powered by one of the best American V-8s ever.